Gonna pour one soon. Steam Whistle, a small CDN brewery that makes a great Czech style pilsner as their only product. BLeP approved as I believe its his #1. How about you? Now we can get into a serious conversation after our dribble earlier today. How did court go btw? I think it was you who turned me on to Eagle Rare. That stuff is straight from the heavens. I did a blind taste test with ER and three others, nothing came close. I don't recall ever seeing it up here, but I'm not a huge bourbon drinker. Boring! It was a long day, but, it went well. Won't get a ruling for a few weeks, but, I think it will go our way. Yep! Eagle Rare used to be the best kept secret in the bourbon world. 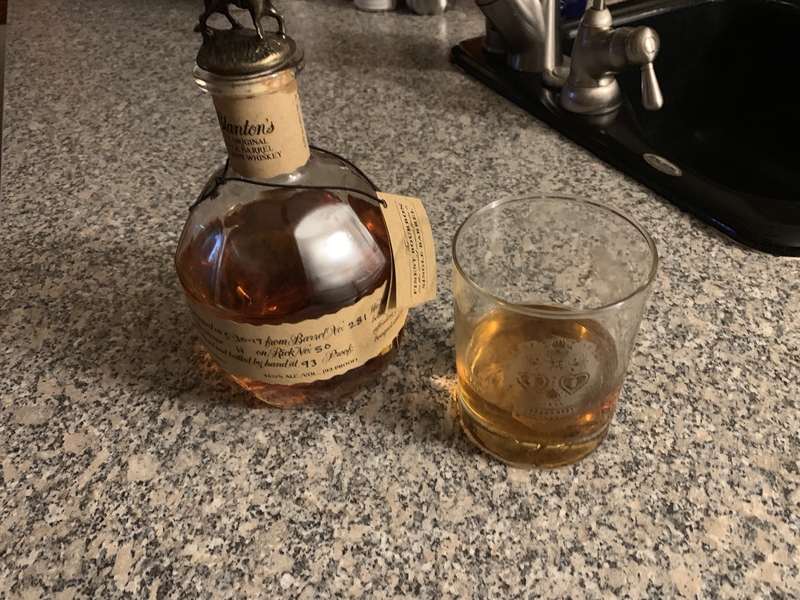 Retails for about $26 for a 10 year bourbon from Buffalo Trace. I am dumbfounded by the price b/c it beats the socks off of a litany of bourbons that retail for 3-6 times the price. What kills me is that it is difficult to find here in the Milwaukee area. But, when I go up to Green Bay, I can routinely find it at Festival Foods grocery store. Hadn't had Blue for many years but bought a two-four last summer. Wished I hadn't. Didn't realize you're in Canada? Thought you were in California? Free State Stormchaser IPA. And if I drink the 4 of those I have on hand, and need one more, a Bud Select of questionable vintage. There’s a liquor store run on my itinerary for tomorrow. Near Albany NY actually. Grew up 60 miles South of Buffalo. Sierra Nevada Summerfest, which is ironic given the temperature outside. My cousin lived in Albany for many years. Used to go there a lot in the 80/90's. Phillips "Black magic". It's a dark ale. Absolutely delicious. Picking up burgers from my favorite place for the wife and I. Might sit out back with the wife for a El Ray del Mundo Cuban cigar and eagle rare bourbon later while the wife has a vodka soda. Good stuff. Couldn't really class it as micro brew but still a family owned brewery. Triple C IPA (Charlotte NC brewery). 12yo son and I hit up a pizza place after his swim practice. Somehow he ordered a cheese-less pizza (WTF??) and and they gladly remade him a margherita as I was shoving my prosciutto pizza down my gullet (this place has a condiment bar with fresh chopped garlic which is amazing and I probably put a full bulb on mine). Bartender poured one of the IPAs a little foamy (according to him) and gave me a bonus beer. Smoke and Dagger black lager from Jack’s Abby out of Framingham MA. It's always on the shelf down here. I can ship a few bottles up if you're on the hunt. Senorita Imperial Porter from Elevation Beer Company in Poncha Springs, Colorado. It's a limited release and 8.5% ABV. Very nice! Tri-ing to have fun. Anything else is just a bonus!